Lewis County, located in north-central West Virginia at the crossroads of Interstate 79 and U.S. 33, was created from part of Harrison County on December 18, 1816. Named for Col. Charles Lewis, killed in the Battle of Point Pleasant, it was a huge territory from which were later formed all or part of six other counties. Weston was founded in 1817 as the county seat of Lewis County. 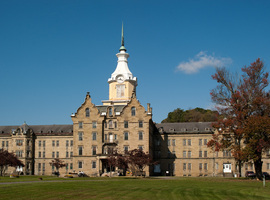 The town was home to Weston State Hospital, which housed the state’s mentally ill from 1864 to 1994. Stonewall Jackson State Park and Stonewall Resort offer a full range of conference and recreational facilities, including an 18-hole golf course designed by Arnold Palmer. 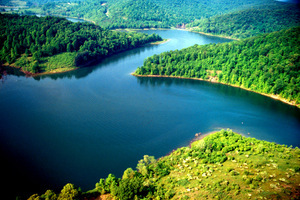 The park and resort cover 1,900 acres along the shores of Stonewall Jackson Lake. Jane Lew was established in the mid-1840s. Stonewall Jackson Lake was created when the West Fork River was dammed in 1988. The lake known for excellent fish habitat, the result of a large amount of standing timber that was left when the lake was created. The West Fork River traverses Marion, Harrison, Lewis, and Upshur counties.